[Case Study] How Did Rastrac Change Things? Wayne Francis, Operations Manager of Fleet Maintenance of Texas, began searching for the perfect solution to increase company efficiency–this led him to implementing a GPS tracking solution. Fleet Maintenance of Texas was looking for two simple things when they came to Rastrac: a functioning GPS solution and software support. 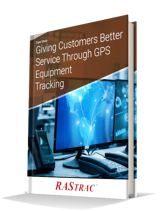 With Rastrac's GPS tracking solution, Wayne was able to get exactly what he needed. Fill out the form to the right to download our case study.